New on the market supplements - advanced line of gels okołotreningowych by TREC, the impact on its results of training are highly visible and get recognition faster than any other competitive products! 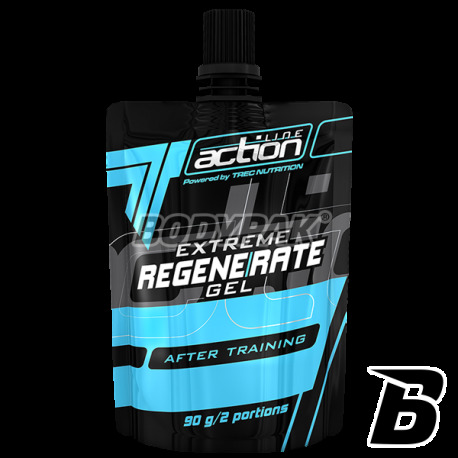 TREC REGENERATE GEL is a professional gel for use after the exhausting physical exercises. Its formula strengthens the regenerative capacity of the body, thanks to the phenomenon of overcompensation after training. It speeds up the removal of unwanted metabolites and provides the ingredients for wellness muscles, tendons and joints. Thanks to the special formula HYDRO GEL active ingredients REGENERATE GEL begin to be absorbed already in the mouth, quickly reaching into the bloodstream and then to the working muscles. 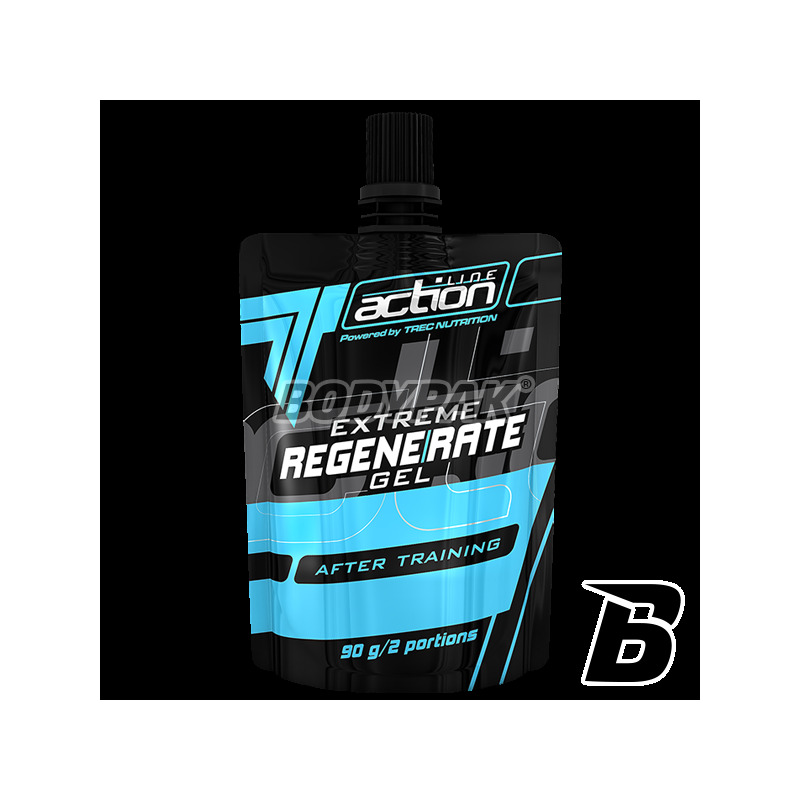 TREC REGENERATE GEL is a product targeted to athletes and amateurs who approach "in earnest" for their training and want to achieve the maximum possible effect. You can not waste this opportunity and stay behind! TREC REGENERATE GEL - REGENERATION OF THE HIGHEST LEVEL! 45-90 g of gel (0.5-1 sachet) consume small portions of The Direct after training. Składniki: woda, maltodekstryny, dekstroza, Aminokwasy Rozgałęzione (L-Leucyna, L-Izoleucyna, L-Walina), hydrolizwany kolagen, substancje wypełniające (guma guar, guma ksantanowa), l-glutamina, l-arginina (chlorowodorek), jabłczan tri-kreatyny, kwas cytrynowy (regulator kwasowości), aromat cytrynowy, guma arabska, estry glicerolu - stabilizator, kwas l-askorbinowy, butylohydroksyanizol – przeciwutleniacze; acesulfam K, sacharynian sodu, cyklaminian sodu, sukraloza – substancje słodzące, sorbinian potasu, benzoesan sodu – substancje konserwujące; magnez (cytrynian magnezu), ryboflawina – barwnik, ekstrakt aloesu (Aloe barbadensis).